The company is demanding more than Nu 360 million as compensation from the Ministry. It was one of the companies involved in constructing 80-kilometre Dalbari-Dagapela highway. The ministry submitted their rebuttal to the Supreme Court on September 28. The MoWHS legal officers said the compensation claimed by the construction company is even higher than the cost of the construction. The ministry said they are liable to pay only Nu 40 million to the company as per the resolution of an arbitration tribunal of the Construction Development Board. The company refused to accept the compensation and took the ministry to the court. 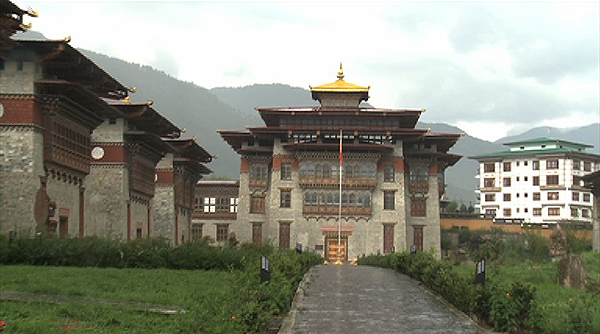 The ministry also said they paid some Nu 33 million as mobilisation fund and another Nu 150 million to the contractor as an interim measure as per the Thimphu District Court’s judgement. Lawyers said after deducting Nu 40 million compensation, the contractor has to refund the remaining amount to the ministry. The construction of 80-kilometre Dalbari-Dagapela highway began in September 2014. The Gaseb Construction Company and an Indian company were awarded 31-kilometre stretch of road from Geserling to Dagapela, worth more than Nu 358 million. But soon, investigation began, following a complaint to the Anti-Corruption Commission on the award of three contracts. Having found no evidence of corruption involved, the ACC recommended the ministry to re-evaluate the tenders or revoke the contracts and re-tender. The ministry then terminated the contracts in March 2015. After two years, the road construction began in March this year and is expected to be complete by the end of next year.